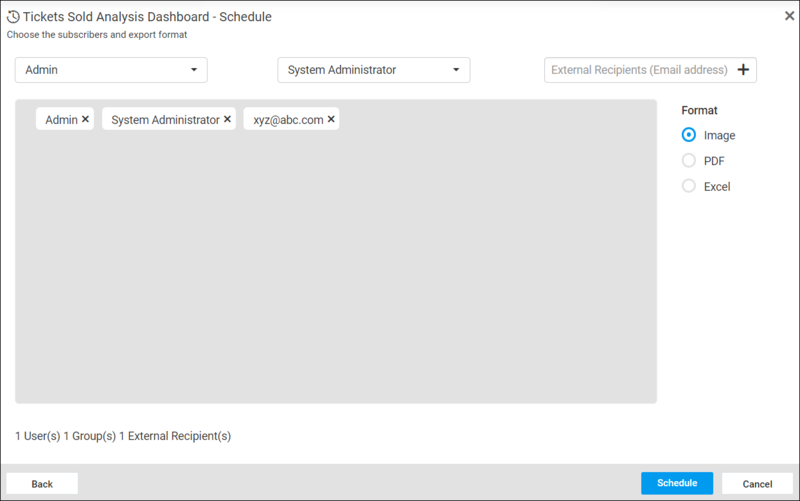 Manage Schedules in the Syncfusion Dashboard Cloud. 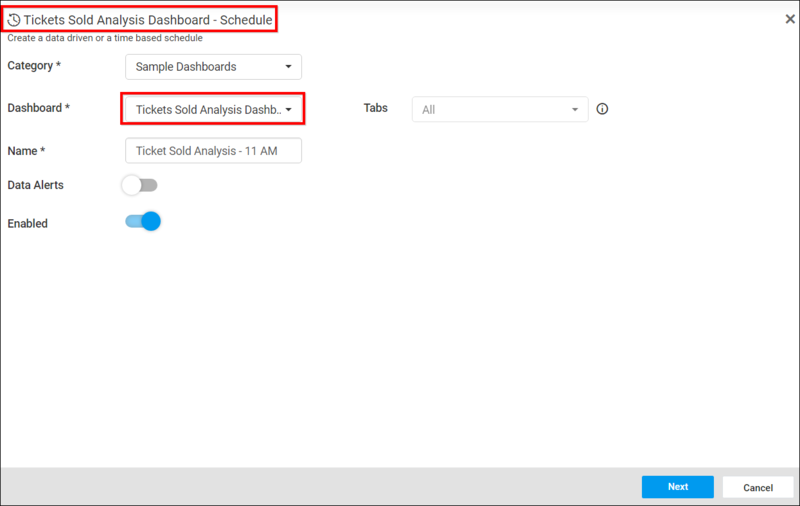 This section explains on how to add, edit, delete schedules and also on how to run the schedules on demand and enable or disable schedules in the Syncfusion Dashboard Cloud. Schedules’ page displays the schedules that are accessible by the user depending on the user’s permission. 1.Add schedule from `+` button in the menu. 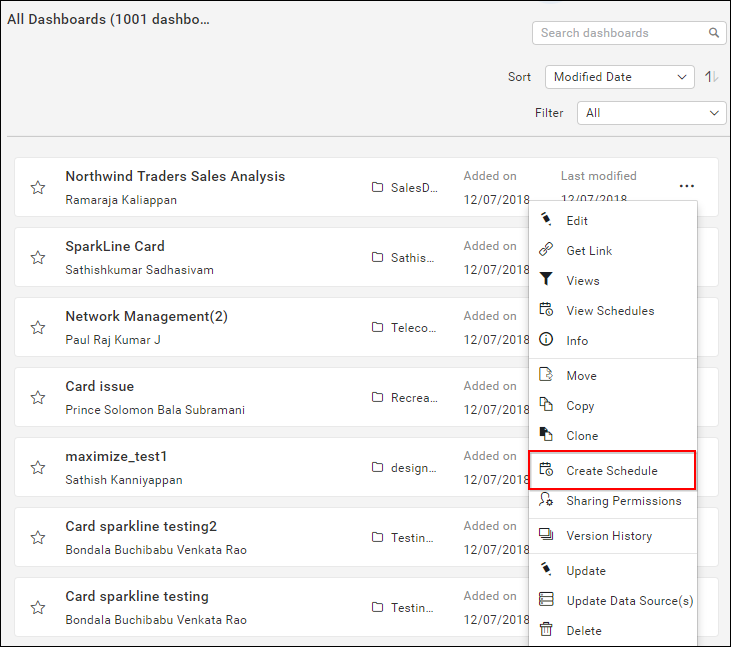 2.Add schedule from context menu of the respective dashboards. Click on the + button in the menu and choose Schedule under Create to add a Schedule. Select the required dashboard from the dropdown. 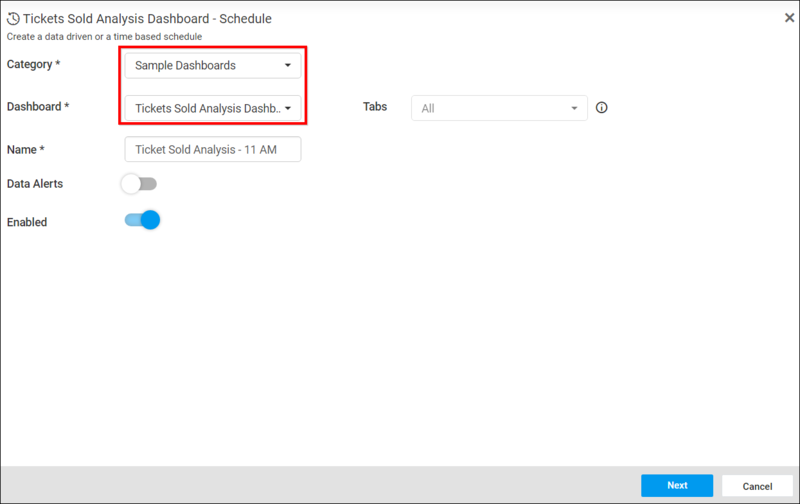 Click on Actions button in the schedules grid context menu and select Create Schedule to schedule the corresponding dashboard. 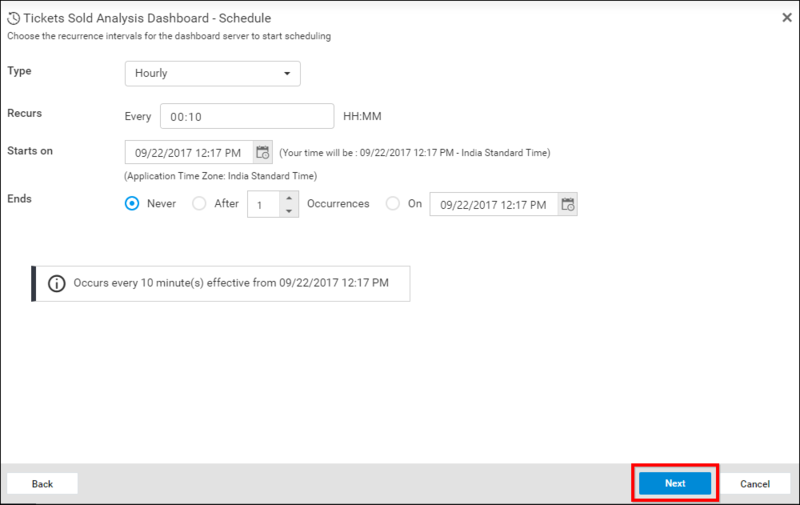 Categories or Dashboards can be changed from schedule dialog box itself. After adding schedule details, click on the Next button in schedule dialog. 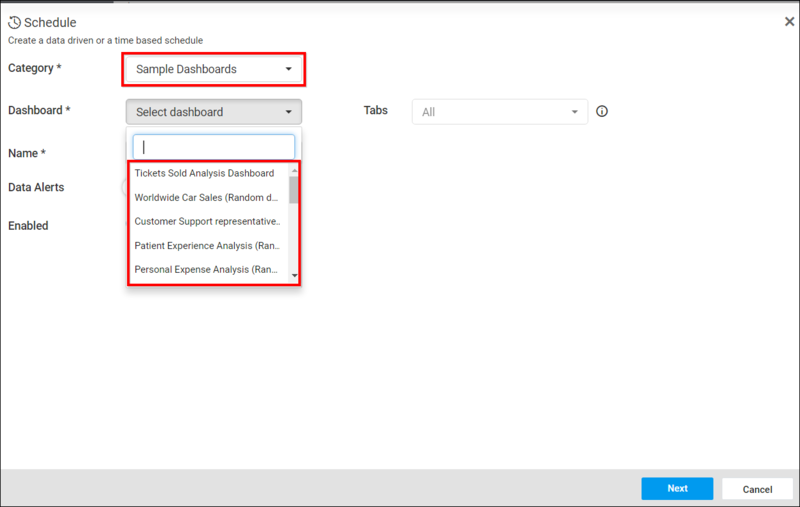 Select the recurrence type, recurrence, start and end dates, export formats and the users to which the exported dashboards have to be emailed in the Add Schedule dialog box. Exported dashboards can be sent to individual users or groups or to external recipients along with the link the dashboard in the dashboard cloud through emails. When clicking on Schedule, the dashboard is scheduled in the selected recurrence. Read Write Delete permission for that Specific Schedule is added to the users by the person who created the schedule. Category, dashboard, name, recurrence type, recurrence, start and end dates, export format and the recipients can be changed in the Edit Schedule dialog box. Schedules can be made to run on demand by using Run Now option in the schedule grid context menu. Dashboard get exported in the format specified and sent to the recipients along with the link the dashboard in the dashboard cloud through emails. Schedules can be disabled at any time, which ignores any next occurrences. When enabled, it finds the next occurrence and run accordingly. Schedules can be deleted from the dashboard cloud when it is no longer required. Click the Actions button in the schedules grid context menu and select Delete to delete the schedule.